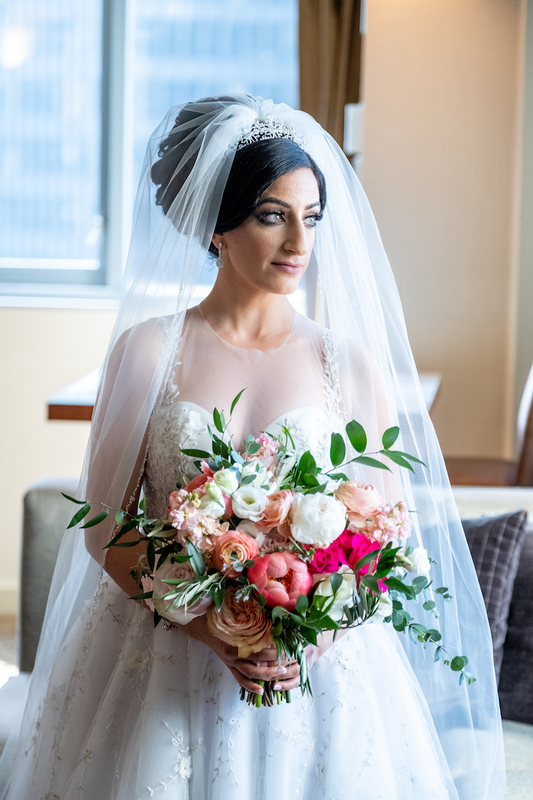 Jennifer and Jawad's elegant wedding took place at the Grand Wyndham Hotel in Chicago. 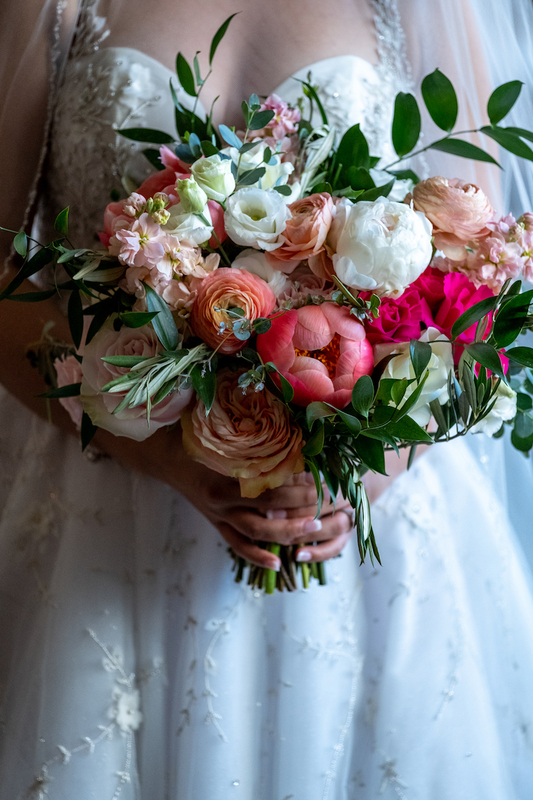 Their June wedding was at the peak of peony season, so they embraced the coral and pink tones from peonies and roses which set the tone for a cheerful celebration. 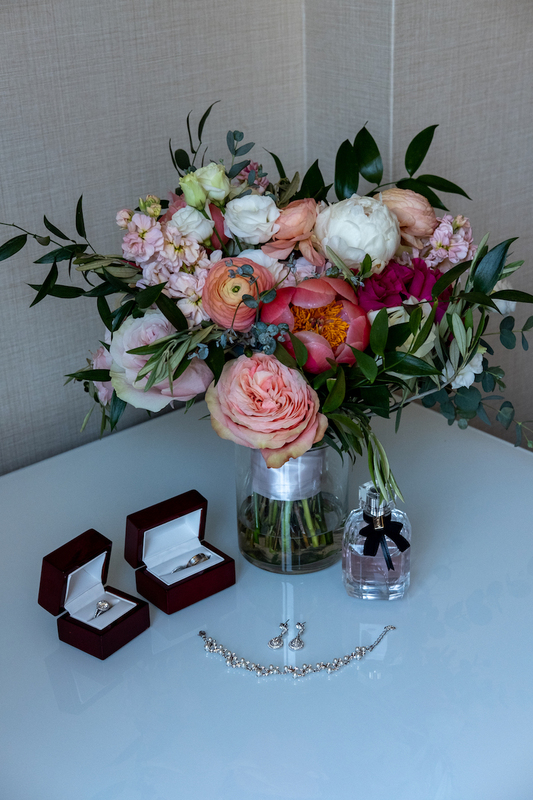 Jennifer's bouquet featured these bright summer blooms with softer hues of white lisianthus and peach ranunculus. 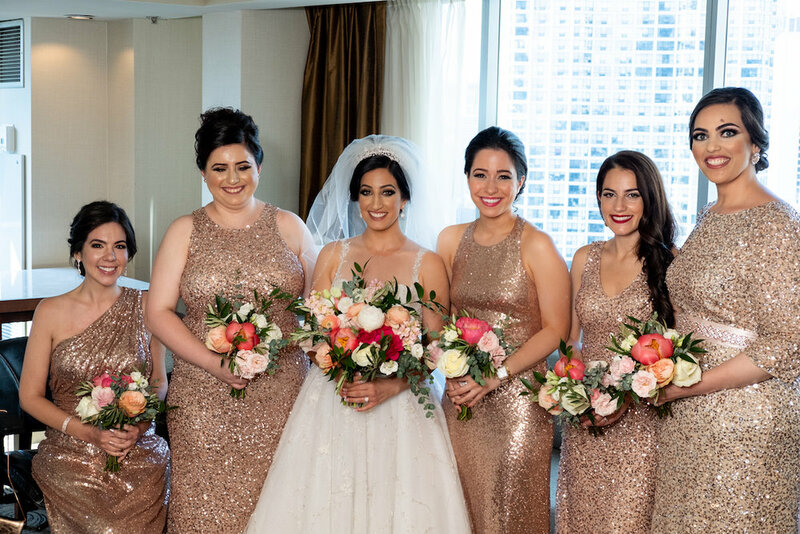 The bridesmaids' bouquets echoed her vibrant colors with accents of trailing greenery. The groomsmen matched the ladies, wearing peach ranunculus boutonnieres. 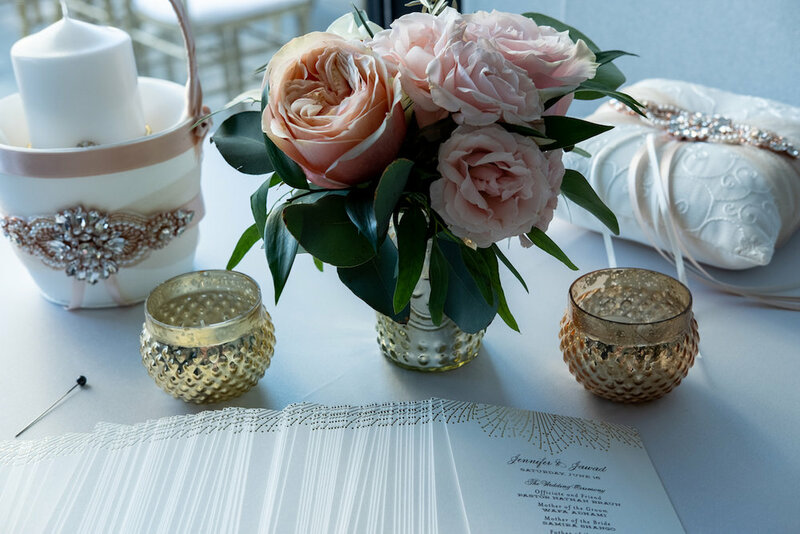 The ceremony was an intimate rooftop gathering of family & friends. 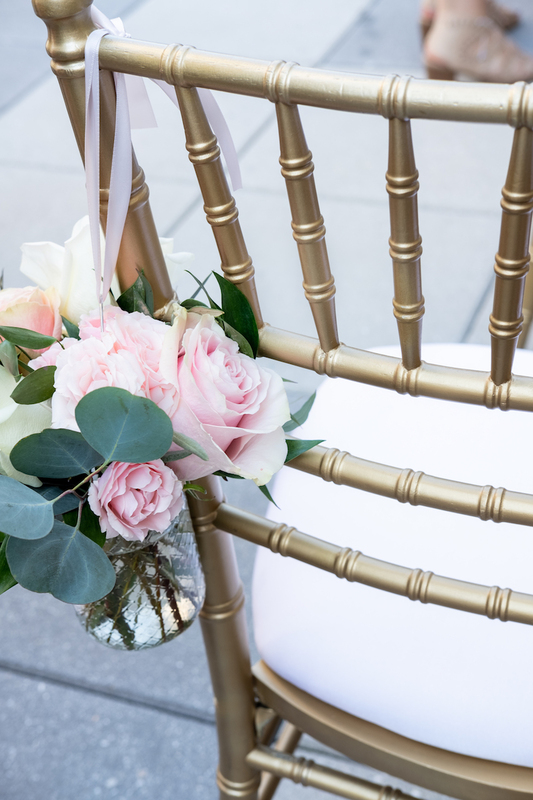 The couple said "I do" while framed by an arch draped with sheer white fabric accented by colorful roses, peonies, and trailing Italian Ruscus. This picture perfect memory will last a lifetime! 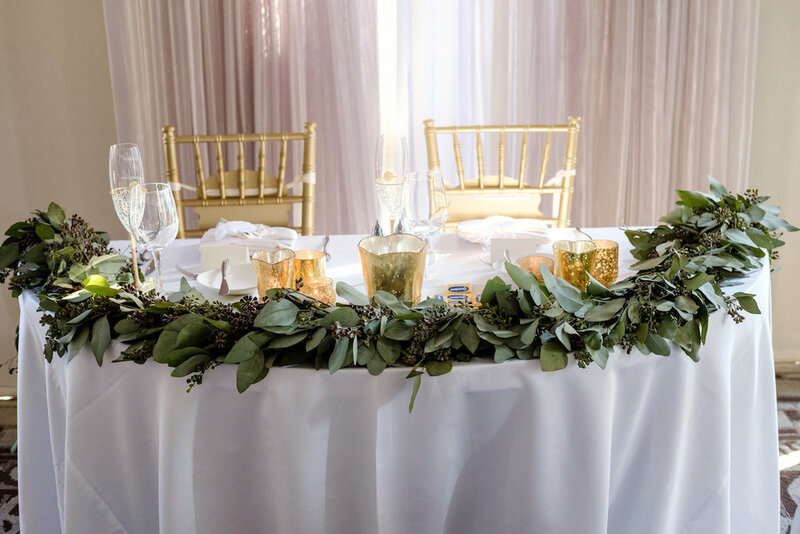 After the ceremony, the couple and guests enjoyed a beautiful dinner and plenty of dancing surrounded by gold compote vases with overflowing with gorgeous summer flowers. 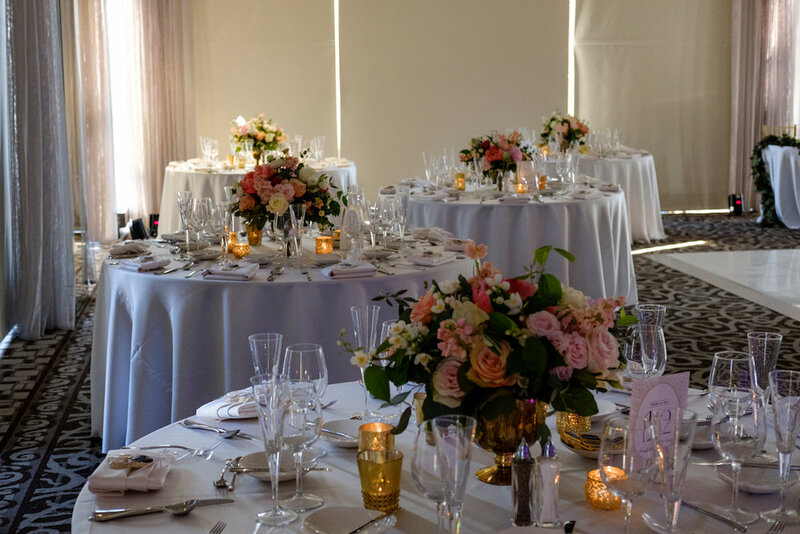 Hot pink, white, and soft pink peonies were in abundance with ivory spray roses, stock and mock orange blooms. 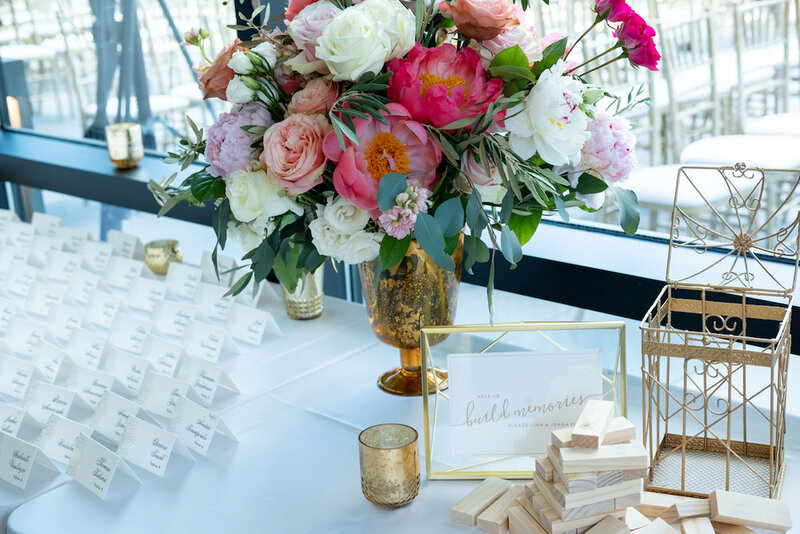 This wedding was a peony lover's dream, and we sure hope Jennifer and Jawad have a future as bright and lovely as their flowers. 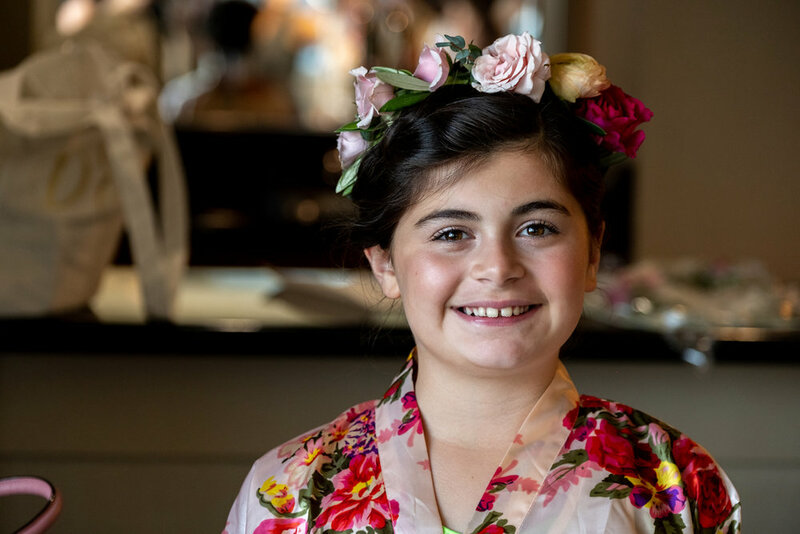 Special thanks to PixSight Photography for their beautiful images.